Data & Society > our work > blog posts > How do we reform tech? 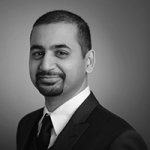 D&S advisor Anil Dash examines how to change the tech industry for good. Some of the most novel critiques about technology and Silicon Valley are coming from women and underrepresented minorities, but their work is seldom recognized in traditional critical venues. As a result, readers may miss much of the critical discourse about technology if they focus only on the work of a few, outspoken intellectuals.